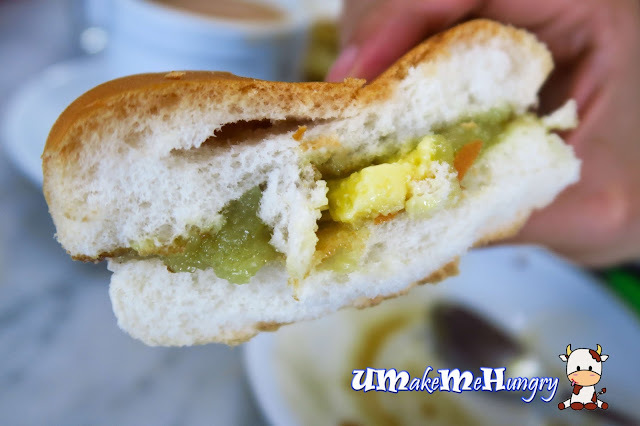 Life is such an irony, when we have the same old breakfast daily in the past, we complain about how dull it was and began to search for something interesting. 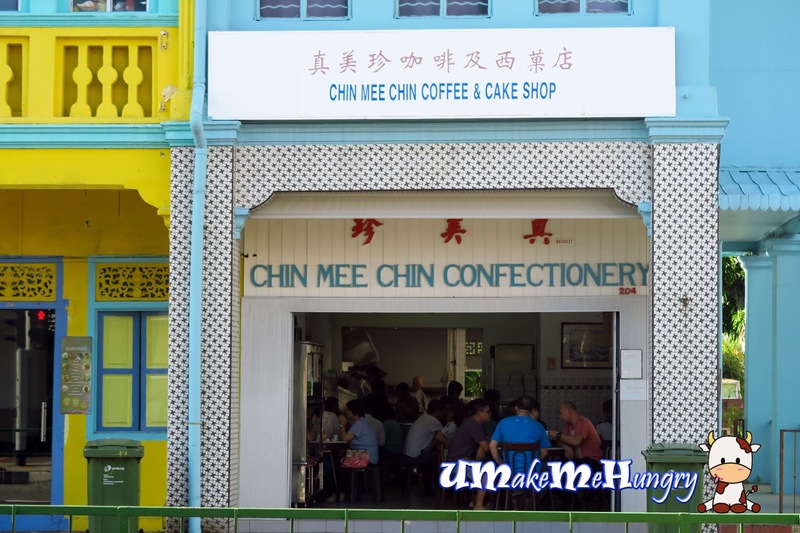 Chin Mee Chin is perhaps one of the last standings old school coffee and cake shops in Singapore, she is located in East Coast Road and I bet that its quite popular among the tourists as well as the locals for it had a long reputable history. With Toast and Coffee coming along, most of us would prefer somewhere renovated with comfortable furnishing like our Chains Coffee places e.g Yakun, Toast Box or even Killiney as they give us a good picture of semi old school kind of breakfast. 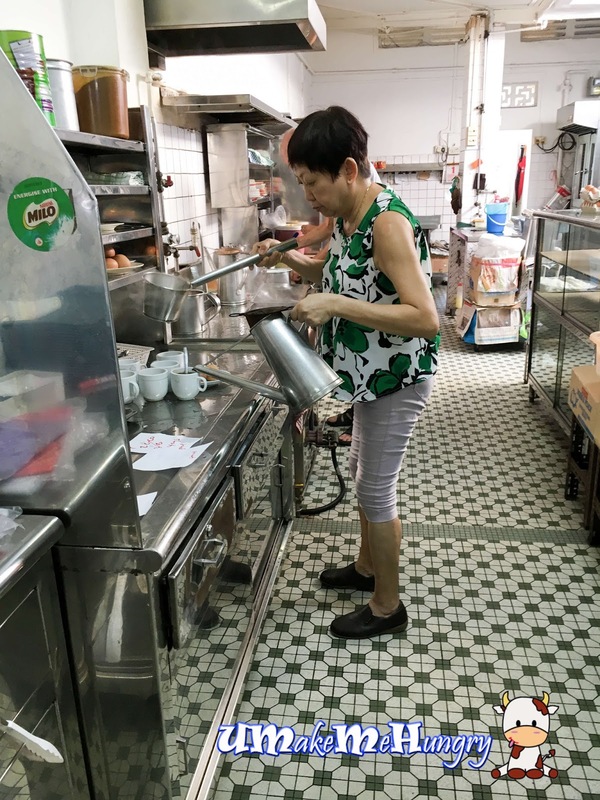 However I would say a visit to Chin Mee Chin would let you have a good reminiscent and a feel of going back into the 60s. It puzzled me a little when the roller shutter was halfway opened and we saw some consistent crowds waiting outside the shop. As soon as the shop keeper fully open the shutter and welcome the crowd, all of them hastily rushed in and queued over the counter. 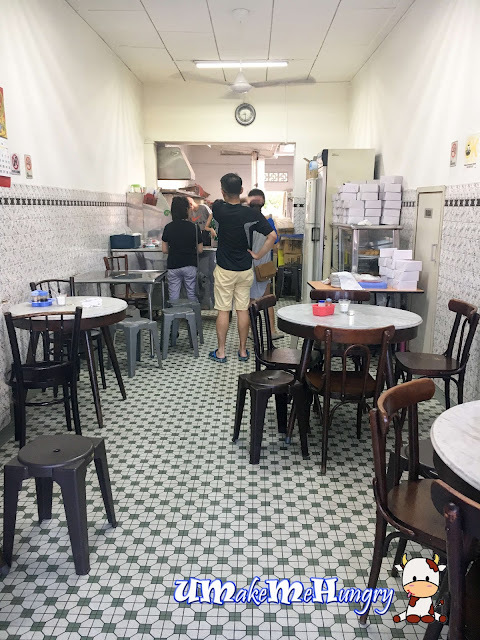 Furnishings in Chin Mee Chin remains humble in their Mossiac tiles, marble round tables and wooden chairs. Space was rather limited and we have to shared table with others. While orders were taken and queues were clearing, I observed the kitchen. They were just sweating all over in preparation of toasts, hard boil egg and beverages. Pastries can be grabbed from the shelves by the sides of the shop. The ones with chocolates on top are filled with cream, that is not to my liking as I felt that it was a tad too sweet for me, moreover I got to bite on some sugar crystals. 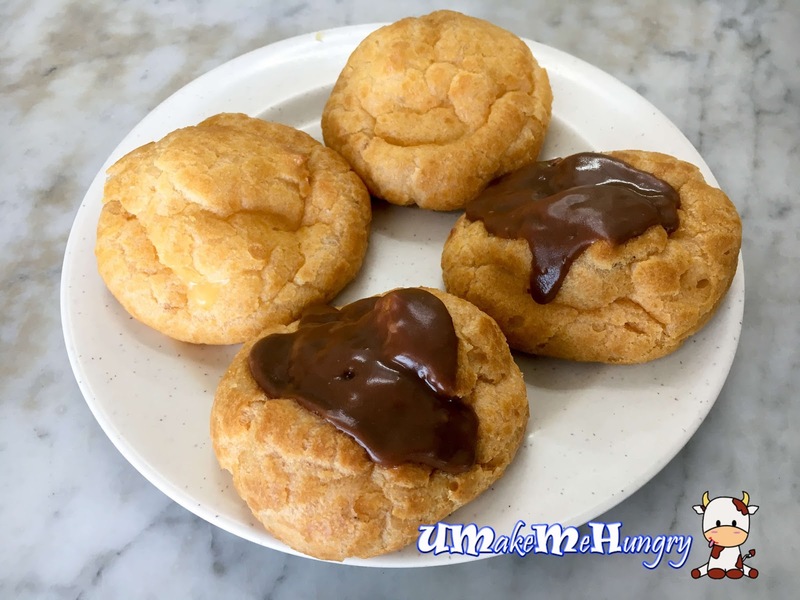 On the other hand, custard puffs were great but you have to be additional careful in handling as fillings tends to drip out easily. 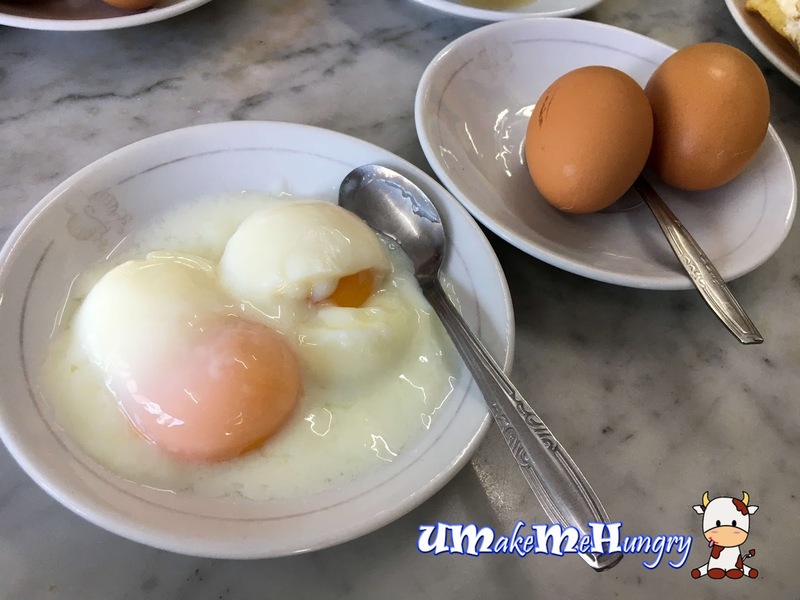 How can a visit to traditional coffeeshop be completed without having hard bowl eggs? They might not have grabbed the best timing of preparing the egg and do it to the perfection like what is practised in Yakun but this is literally good enough. 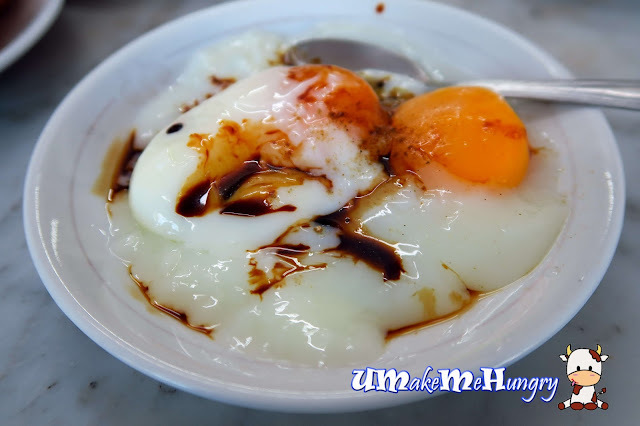 In fact, I'm satisfied with my plate of half boiled eggs sprinkled in pepper and some soya sauce. Simply love the way where we can just gobbled it down using the saucer. 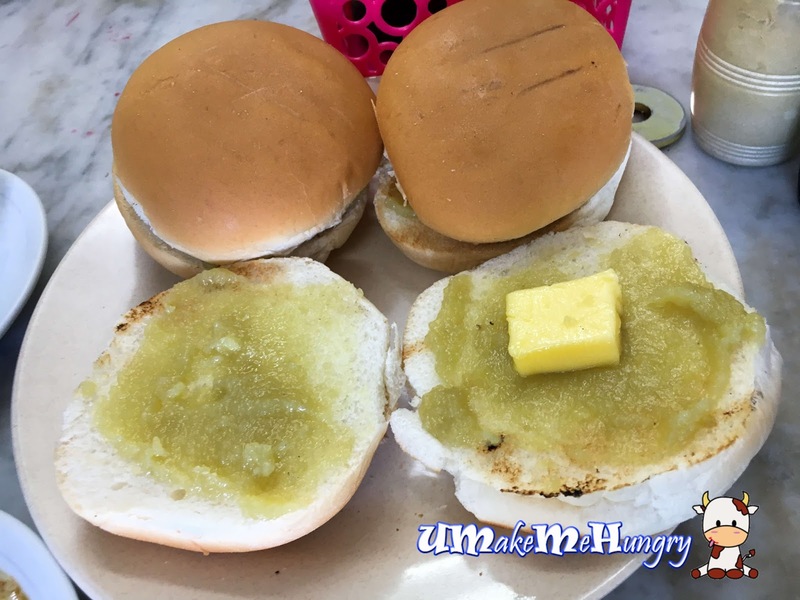 You wont get your usual traditional toasts here, instead you gets some burgers that comes with their homemade kaya and a slab of butter in between. Buns were warm and slightly crisp with charred edges seen. The taste of Kaya was not too sweet and goes very well with the chill butter even though the bun might be a little dry. For those who enjoy their Kaya, it is available for sale in the shelves too. 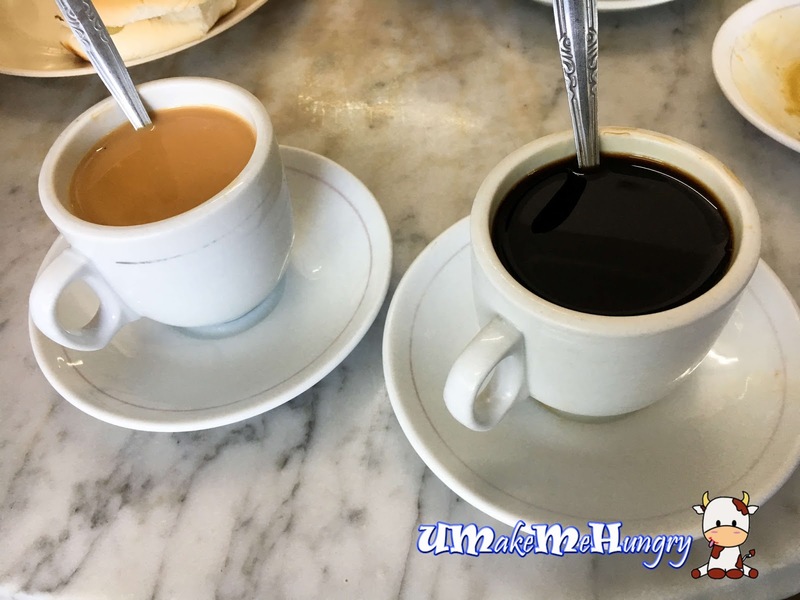 Another way of completing the breakfast comes with beverages in the traditional coffee cups. 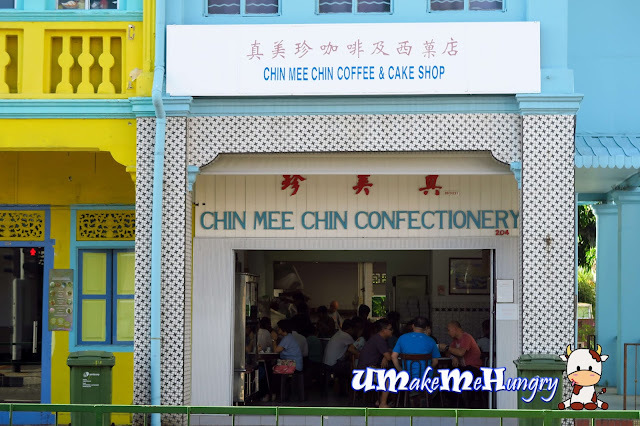 Chin Mee Chin is another good place to introduce or bring your overseas friends when they are here in Singapore as it give them a good feel how simple traditional breakfast in Singapore can be. For those who has not been here, you can make a trip to East Coast to enjoy your time back in the 60s.